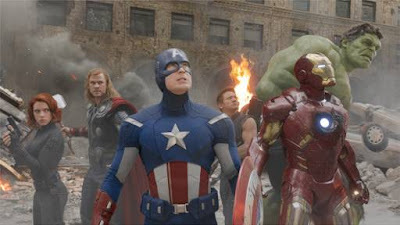 The Avengers is the first big movie of the summer blockbuster season, and there was a lot of hype leading up to its release. Iron Man, Thor, and Captain America have already had their own movies, and you can say that The Hulk has as well (though not played by Mark Ruffalo then), all of which premiered to much box office success. The Avengers will most likely smash these records, and the numbers already coming in from its international premiere shows that it's off to a good start. Thor's brother Loki (Tom Hiddleston, War Horse), comes to Earth to retrieve the Tesseract, which has enough energy to blow up the continent, if used improperly. He tries to take out Nick Fury (Samuel L. Jackson, Captain America: The First Avenger) and his crew, but Nick has a better plan, and assembles The Avengers to try and capture him. The Avengers consist of Captain America (Chris Evans), Thor (Chris Hemsworth), Natasha Romanoff, aka The Black Widow (Scarlett Johansson, We Bought a Zoo), Tony Stark, aka Iron Man (Robert Downey Jr.), and Dr. Bruce Banner, aka The Hulk (Mark Ruffalo, Shutter Island). These superheroes don't always like each other, but when it comes to teaming up against forces of evil, they work very well together, and they must find Loki and the Tesseract before he starts a war on Earth and destroys New York City. If I had to pick one Avenger that I would say "stole the show," I would say either Iron Man, just because of his witty lines, or The Hulk, because he was so huge and green. He's been seen on-screen before, most recently in The Incredible Hulk (2008), with Edward Norton in the title role, but the CGI in The Avengers truly brings The Hulk to life, and the 3D makes him even scarier. 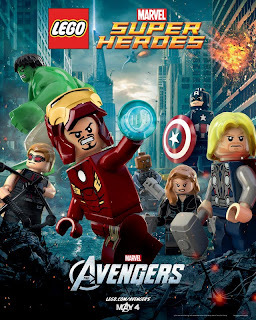 However, all of the Avengers are great in their roles, as well as Hawkeye (Jeremy Renner, Mission Impossible: Ghost Protocol), the former Avenger who Loki has mind-tricked, and Samuel L. Jackson as Nick Fury, their leader/assembler of sorts. 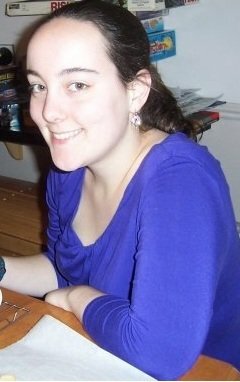 Gwyneth Paltrow also reprises her role as Pepper Potts, Tony Stark's girlfriend, though she's only seen in a few scenes. Yes, definitely see this movie. The 3D was decent but a little too much "in your face," and at times this proved to be distracting; the movie itself is so action-packed that the 3D is not needed. Even though the film clocks in at about 2 hours and 30 minutes, it felt like half that runtime because it moves so quickly, and you won't be checking your watch during it. I predict a banner (no pun intended) opening weekend for The Avengers, and hopefully a sequel will be made as well. Don't forget to stay through the credits for not one, but two extra scenes; I stayed for the first but didn't know about the second before seeing the film. 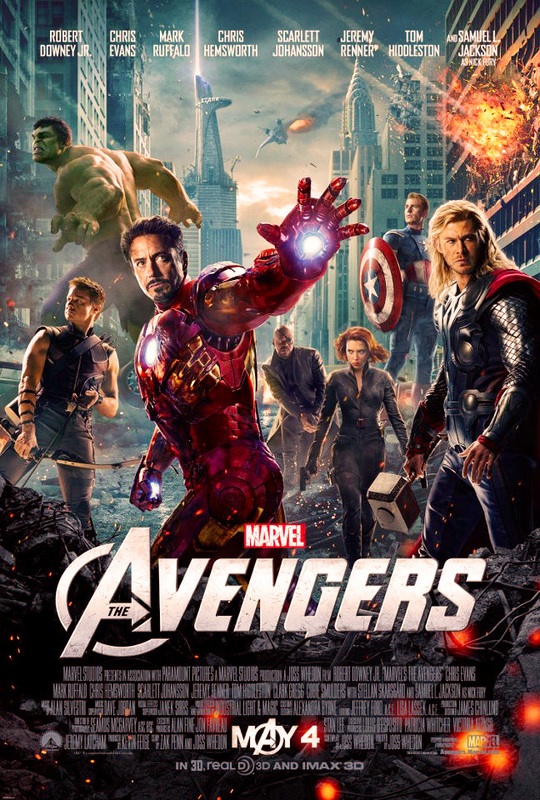 The Avengers is in now and is rated PG-13 with a runtime of 143 minutes. 4.5 stars out of 5. FREE AVENGERS SMARTPHONE AND TABLET APPS!!!! LEGO just released a FREE Super Hero Movie Maker app for iPhone (you can play it on your iPad if you enlarge the viewing using the 2x option) that you can use to make your own movie. Also available for FREE is the new 16 page comic book app for iPhone and iPad Marvel’s The Avengers: Iron Man - Mark VII which follows hero Tony Stark and the cool development of his Iron Man armor. And don't forget the FREE Marvel Comics App for your Android Tablet or Apple iPad where you can download FREE comics books to your tablet.